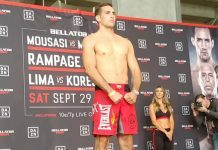 This Saturday, in the main event of the stacked Bellator 206 card, Bellator welterweight champion Rory MacDonald will move up to middleweight in an effort to swipe the middleweight belt from the waist of divisional champ Gegard Mousasi. 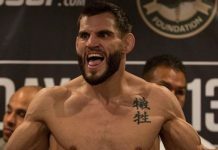 No matter the outcome of this fight, MacDonald will then drop back down to welterweight, where he will attempt to defend his title in a welterweight tournament featuring Douglas Lima, Andrey Koreshkov, Paul Daley, Michael Page, Ed Ruth, Neiman Gracie, and Jon Fitch, the latter of whom MacDonald will meet in the first round. Speaking to MMA Fighting in the lead-up to Bellator 206, Rory MacDonald explained that it’s a real blessing to know who he’s fighting after this bout with Mousasi. This kind of clarity, he reminds, is a real rarity in the sport of MMA. “They already told me they want me in January or February, so I’ve got a good amount of time,” MacDonald added, sharing the tentative timeframe for his first-round tournament showdown with Fitch. 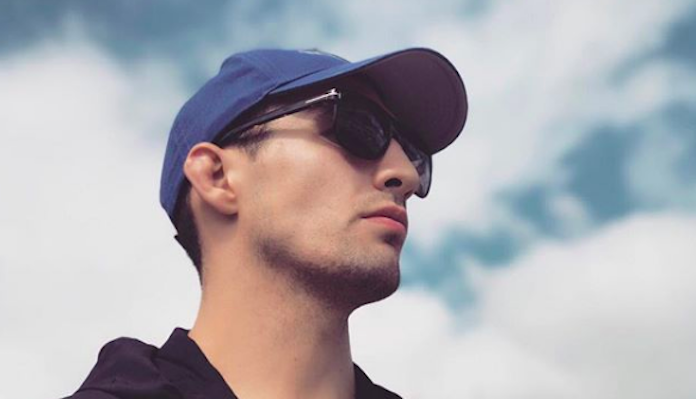 One of the more interesting details of this tournament is that Rory MacDonald’s welterweight title will be on the line from his very first tournament bout onward. In other words, he could conceivably win the tournament having defended his title multiple times, while the title could also change hands multiple times throughout the tournament. For MacDonald, this is an exciting way to prove he’s truly Bellator’s best welterweight. Rory MacDonald also appreciates this tournament for its simplicity. In a tournament, there’s very little chance of politics playing a part in the matchmaking process, as the matches are determined by who wins in each round. Having fought in the UFC welterweight division, which is currently running high on drama, MacDonald appreciates this fact. Suffice it to say that Rory MacDonald is very excited for the upcoming Bellator Welterweight Grand Prix. That being said, he assures his focus is currently locked solely on his middleweight title fight with Gegard Mousasi. 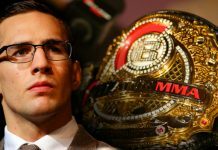 How do you think Rory MacDonald will perform in the Bellator Welterweight Grand Prix?